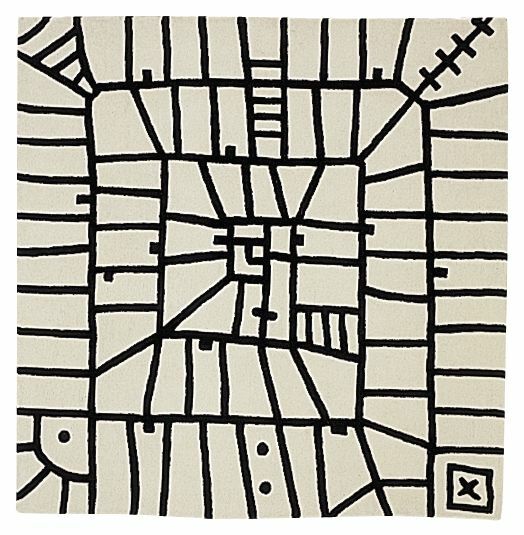 The original sketch for this rug was a watercolour painted by Mariscal in 1987. The design transmits the basic outline of the classic Persian rug. Using this concept as a starting point, the design is updated using unique patterns reminiscent of comics, synthesizing East and West, placing traditional craftsmanship and contemporary design in one product. Born in Las Palmas in a Catalan family, he studied graphic design and art at the Escola Eina in Barcelona. His works are in collections in USA, Japan, Germany, France, England and Spain. Nowadays he lives and works in Barcelona. In 1980, Armenter moved to New York, to study at the School of Visual Arts with Milton Glaser (1981), and at the New York Academy (1982). Living in the East Village, he was curious about the influence of “pattern painting”, an ephemeral movement with a high impact on the urban scene of the legendary city, where graffiti and a new generation of artists proposed an early return to painting. During the ‘90s, and a subsequent move to Los Angeles, his work takes on a colourful abstraction while experimenting with figurative representations. Barcelona is now his home, and his work can be found in collections around the world.